Wooo we are back with another top three post! 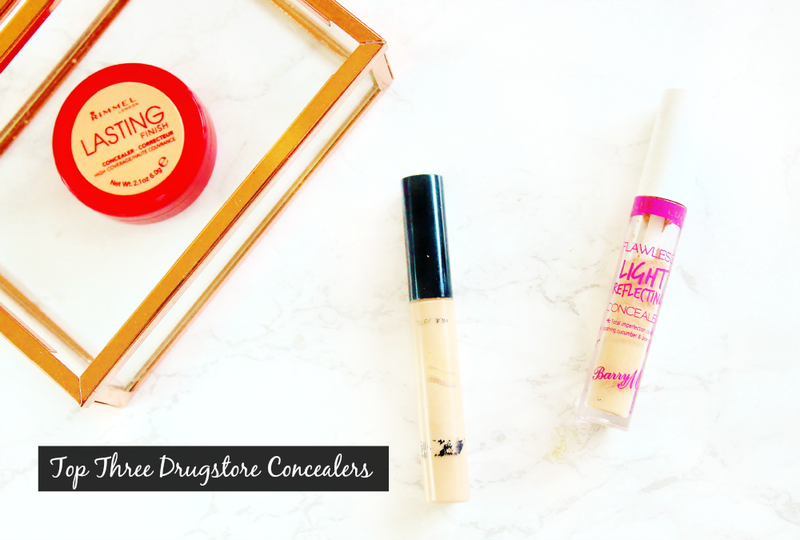 This time its my favourite concealers that are budget friendly and all three of these can be picked up easily from boots or superdrug. Before 2015 I would only swear by ONE concealer from the drugstore, so to find two more this year that I love enough to put in a top three post - is pretty darn awesome! Concealers are a key in my makeup routine and they always have been. Back when I first started wearing more makeup than just a bit of eyeliner, I stayed away from foundations because I didn’t see the need for it and I was always advised to protect my young, fresh skin. But concealer to cover those horrendous hereditary dark circles was something I just did not want to avoid! It almost became a comfort blanket in a way. There is NO was I could afford or justify a gorgeous little pot of the Kevyn Aucoin Sensual Skin Enhancer when I was 17! So I turned to the highstreet and believe me I’ve tried more concealers than any other makeup product (even eyeliners) so boy did I go through a LOT. 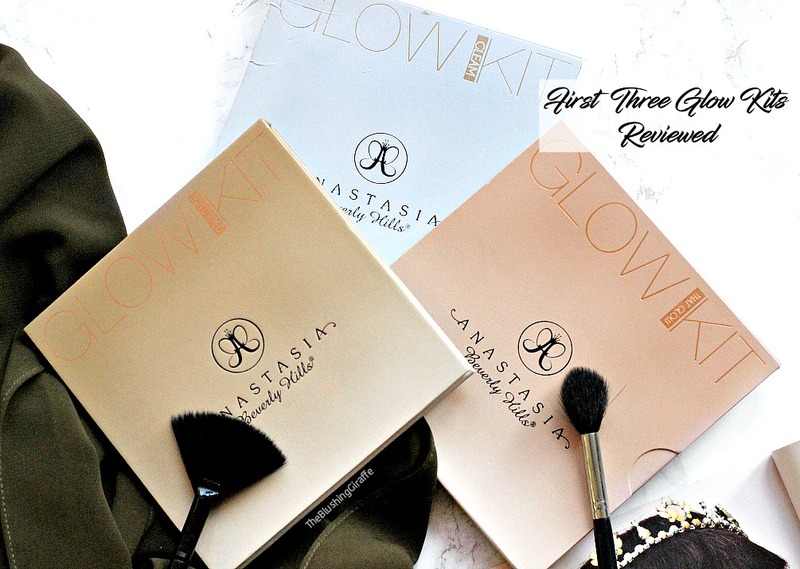 These three had to be fantastic for me, in order to land themselves a position in this post and it is not often that I repurchase a concealer again because so often they don't meet the mark for me. But this trio will most certainly be repurchased over and over. As concealers are quite subjective, I’ll try to be as detailed as possible so you can get a good idea of if it may work for you. I ADORE this concealer from Rimmel because I feel like the drugstore have finally come out with a corrector shade which is (just about) suitable for WOC, who have darker circles than those with fairer skin. Granted it is not the MOST peachy toned concealer on the market, however it really does work well for correcting the darkness and brightening up the whole under eye area and actually you only need a small amount. It is a cream concealer and because of its consistency, if you over apply this you’ll most likely get creasing after a couple of hours, however if you apply just the amount you need to correct you’ll be absolutely fine. I actually get a lot less creasing from this concealer than from my previous favourite, the benefit erase paste in 3 and is only when I stopped using the benefit version and switched it up, that I actually realised how much creasing erase paste was giving me! So the fact that this budget concealer corrects my dark circles practically as well as the much more pricy option AND it doesn’t give me issues with creasing just makes me ridiculously happy. I also love how the consistency is just the right amount of creamy, where you don’t have to warm it up with your ring finger too much - you can pretty much just dab your finger into the pot and apply it. It’s also forgiving on dry areas and doesn’t sink into very fine lines. When I only have 5-10 minutes to do my makeup I’ll opt for this and then if I have time I’ll put a little concealer over the top to hide the peachiness and brighten up the whole area. However if I don’t have time it’s not the end of the world. I mean I LOVE to have a flawless under eye but sometimes I just don’t have time to correct, conceal and set the area, so if it does come to that I’m quite happy to just use this for a normal day. You’ll like this if: You have dark circles and need a peachy toned concealer to correct darkness which won’t crease like crazy and is also light enough to be a base for a brighter concealer over the top. This is the concealer that not only took the blogging world by storm, but also stole me heart. I cannot tell you how many tubes of these I’ve purchased...at least 12 if not more because it is so fantastic. I also normally wait till there’s a 3for2 deal and stock up, I currently have two tubes of unopened lasting perfection!! Anyway this concealer is definitely medium/full coverage and I love that, because so many budget concealers lack of coverage and sometimes I find myself layering and layering and I still don’t get the coverage I want from them. This stuff though packs enough coverage with one swipe and the doe foot applicator is awesome too. I use shade three on a day-to-day basis, it is around the same colour as my skintone, probably a tiny bit lighter and it really brightens the undereyes whilst not compromising on covering up the dark circles! I do tend to still use a corrector underneath, as like I said, I adore that flawless under-eye look and because the formula of this concealer is a little thicker I find that once it sets it doesn't really crease on me. Some people don’t like this concealer for their under-eyes due to the formula being a little heavier, however I did notice when coming back to this concealer after using a high-end one for a couple of weeks that it does set and last. It is definitely not a luminous concealer though, so if you’re lucky enough to not have dark circles I probably wouldn’t recommend this for the under-eyes. If you can get away with it, opt for something light and glowy instead. As for blemishes, this stuff works great as well, again like I said because of its formula, it sets and stays in place. For me lasting perfection is one of those concealers I can really rely on and know that it’ll pack a punch when I need it. You’ll like this if: You need a high coverage concealer which’ll cover darkness whilst actually lasting throughout the day. You’ll also like this if you opt for light/medium coverage bases but want a reliable concealer to cover blemishes here and there. I honestly think that if you can find the right shade, you’ll find a use for this be it covering dark circles OR blemishes, it works well and there aren’t many concealers who tick both those boxes! This is the newest concealer in my stash and its definitely one of those ‘the blogger made me buy it’ purchases! After I read a certain review (which I’ll link below), I knew I had to try this stuff because I loved the sound of it! Although its not super high coverage which is what I normally go for, nor is it salmon/peach toned, this is one of the best highlighting concealers I have come across. Hence the name ‘light reflecting concealer’, because it does bring a subtle radiance to the skin, whilst feeling lightweight and brightening up the skin. The applicator is a brush style which I really like because it distributes less product that a doe-foot and for the lightweight consistency that this has it works well. The formula is creamy, hydrating and it does not cake! I love the shade 2 because it’s definitely yellow toned which can be hard to find in the highstreet. I personally think this concealer has a medium coverage, so I don’t use it for my dark circles. However I use this as a highlight all over the usual places (tops of the cheekbones, forehead, down the nose etc). It blends so easily into the skin and I love how it remains the colour that it appears when it is applied. I will be picking up shade 1 which also has a yellow undertone because when I wear lighter bases I’ll mix 1+2 together to get a brighter look and I know I’ll be repurchasing these over and over! It feels so good to know that I have finally found a brightening/highlighting concealer for a budget price because I have been on the hunt for one for at least a year and a half! Also I love how the packaging is totally transparent and ALL the product gets used up! The more you use it the more the product all goes down, so there is no wastage at all - a huge thumbs up from me! So those are my top three drugstore concealers, ones that have made me so happy because they work really well for me! I know I’ll be repurchasing each of these and I’m chuffed that I can take advantage of the great offers that the drugstore offer, which aren’t easy to find when it comes to highend makeup. I hope that you’ve seen something that might work for you and I REALLY hope that if you do end up purchasing any of these you’ll enjoy them just as much as I have!